It is very important for everybody to have a nice cozy home. Especially when winters are severe. During the building of the house many people think about the winterization. 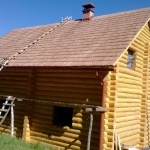 We also make winterization of the bath houses and other constructions. 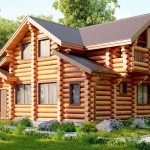 The masters of the company Karpaty-Dom recommend you which log to choose for the building and which will be appropriate for your area. We take into account the climate conditions and other factors. We make foundation and put Ruberoid in order to reduce the level of the humidity. The warm effectiveness increases. The expenses on the heating reduce. Possibility to save walls from negative factors. Only experienced workers. They will advise which winterization to choose. 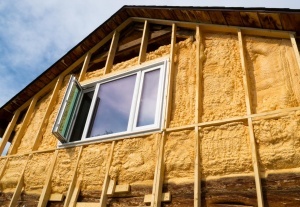 To define the thickness of the thermal insulation material. Winterization should be performed on technology. To save the log from different factors. All the process of winterization lasts in few stages: to choose the exact winterization, montage of the thermal insulation and external cladding. 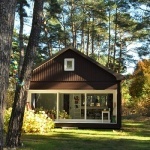 Warm wooden house is a dream of all the people who live in big cities. Many of them choose wooden houses to live in. This material saves warmth inside the house. The myth has been dispelled so far. It is very pleasant to come back home which is warm and cozy. You can also warm yourself near the fireplace. 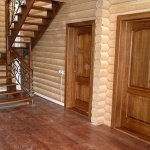 Our company will create comfortable conditions in your wooden house and will make the atmosphere wonderful. Contact us!